Brief Synopsis – Documentary about a woman who was stopped routinely by a policeman which ended up getting out of control. My Take on it – This is the final nominee in this category for me to watch and have now completed yet another Oscar category. 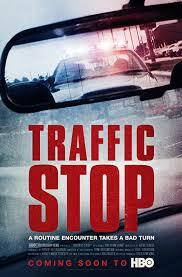 It tells the true story of a case of police brutality seemingly for racial purposes alone. They are able to show us the actual footage of the event which is quite interesting to watch because it allows the viewer to form their own conclusions as to what really happened. The problem here is that it doesn’t explore the issues deep enough and we only get a taste of them superficially. This is quite unfortunate since this film missed an opportunity to start a discussion about the subjects touched upon here. Racism, police brutality and of course basic human rights are only touched upon instead of being explored in relation to this story. I believe this happened since they try too hard to just show us the events instead of trying to open a real debate about the various issues. This is the weakest of the 5 nominees IMHO. Bottom Line – This is a film that tells a true story and is able to show us the actual footage of the event. This allows us to make out own conclusions as to what really happened. The film doesn’t explore the issue enough and it feels too superficial. This is quite unfortunate, because it is a great opening for a discussion on racism, brutality and of course human rights but it missed its opportunity because it tries too hard to just show the events as they are without opening up a real debate on the situation.